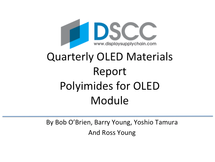 This report tracks all the major materials used to produce flexible OLEDs, rigid OLEDs and OLED TVs. Developed in collaboration on an exclusive basis with the OLED Association, it combines DSCC's deep knowledge on OLED capacity and panel shipments with the OLED Association's knowledge on OLED device structures and OLED material prices providing the industry's most accurate market size and market share results and forecasts. These markets are expected to grow rapidly as the smartphone market transitions from LCD to OLED on OLED's superior performance and desirable form factor. 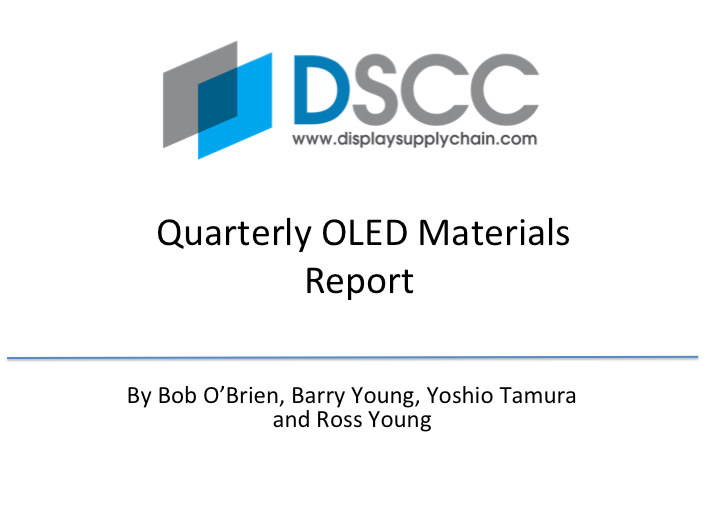 OLED material suppliers and market and financial analysts now have a way to track these exciting markets. 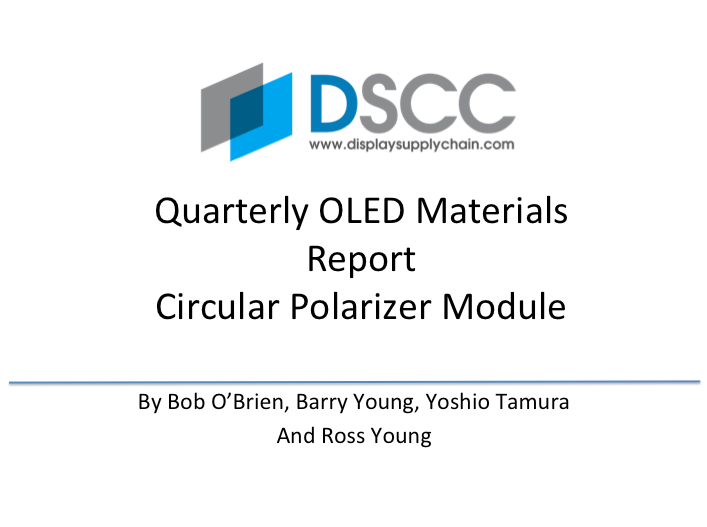 This report package includes the optional module focusing solely on circular polarizer applications, suppliers, and financial market information.